‘Tis the season to be… all about the shimmer! Featured in this month’s GlowwBox ‘Party Season’ Edition is BellaPierre’s shimmer eye shadow in their ‘Celebration’ shade – a perfect shimmer colour for a range of darker skin tones. I was so thrilled when I received it and we experimented here at GlowwBox HQ, straightaway! The amazing thing about this product is that it’s so versatile! In addition to being an eye shadow, it can also be worn as eyeliner, tinted mascara or a blush. I decided to take this product one step further and try it as a highlighter! For parties, nights out and any occasions where I know photographs will be taken (or selfies! ), a highlighter is an essential part of my make-up routine. Wearing a highlighter can have the effect of instantly brightening your face and adding a youthful radiance. 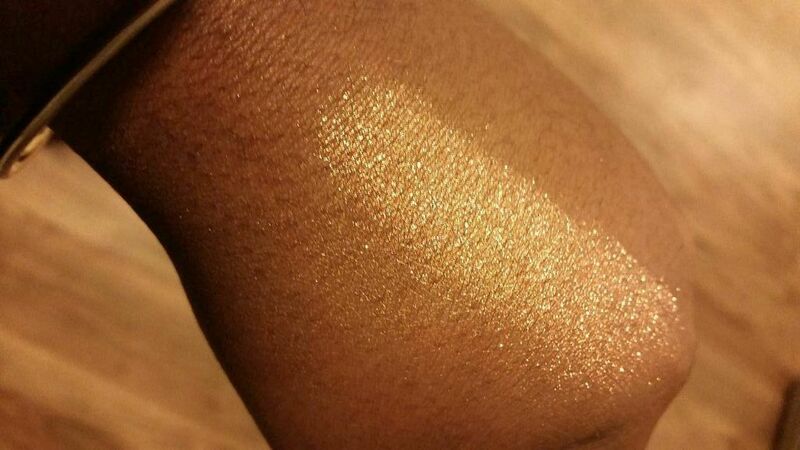 A gold or bronze shimmer looks striking and harmonises beautifully with warm undertones found in darker skins. So below I’ve put together a couple of tips for using shimmer this Christmas! Avoid applying a highlighter that is too pink or pearly as this is more suited to pale skin tones. As a general rule – the darker your skin tone the deeper gold you should wear. Also avoid highlighting areas where your skin is particularly blemished, oily or lined – this may just draw unwanted attention to these areas. For more makeup mistakes to avoid, download our FREE Makeup Mistakes Guide! TIP #2 – Alternatively apply this months ‘Celebration’ shade, as a highlighter on your eyes! From the inner eye – to instantly brighten your eyes. Give these a try. Shop these shades and more in our boutique and receive 3 for the price of 2! Offer ends 23rd Jan 2015. This entry was posted in Feature and tagged asian beauty, asian women, Beauty, beauty advice, beauty advice for women of colour, beauty box, beauty box for women of colour, Beauty Mistake, beauty products, beauty samples, beauty tips, black and white, black beauty, black women, brown beauty, cosmetic, essential beauty on December 21, 2014 by Vicky.